She is forbidden, but that doesn’t stop Lucien from wanting her. Callie wants Lucien, and she knows he wants her, too. But being with him would cause bad blood between her dad and Lucien. She doesn’t want club relationships ruined, but her feelings for Lucien grow, and she knows she can’t stay away. When Kink catches Lucien with Callie all hell breaks loose. Lifelong friendships are tested, blood is spilled, and anger and pain entwine. 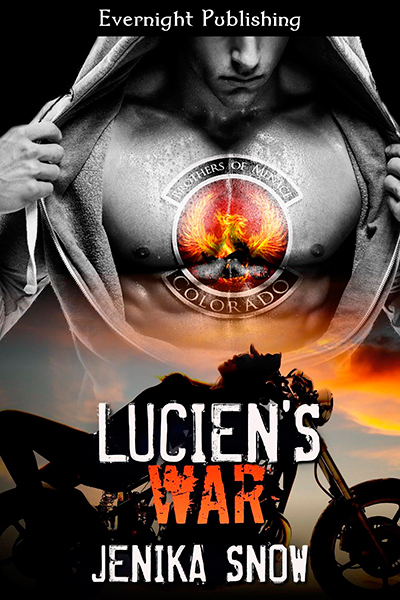 Lucien and Callie must decide if being together is worth it all.